NLP is the study of the structure of subjective experience. And that can be disturbing! 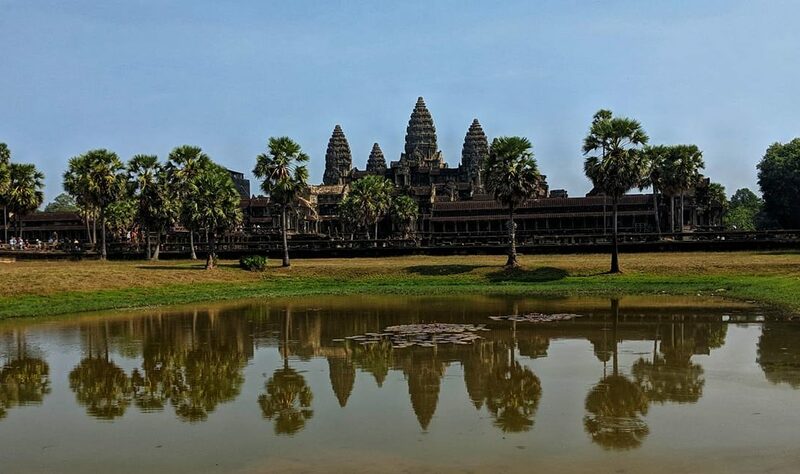 En route we spent time in the magnificent Angkor Wat temple complex and we visited the Việt Cộng underground tunnels in Vietnam and more significantly the Khmer Rouge S21 prison memorial and Killing Fields in Cambodia. Our guides were intent on associating us into the experience – “Would you like to crawl through the tunnels?” “No thank you!” I was already feeling faint not only from the heat but from the graphic descriptions of how invaders were trapped and spiked. And even more disturbing for me was the imagery of the torture in S21 and the photos of the faces not only of the prisoners but also of the guards (the torturers who were predominantly teenagers and some even younger) “The young are the easiest to manipulate” in response to questions about their age. “Here lay on this torture bed and wrap the chains round your ankles.” I moved outside at this point overwhelmed with emotion and choosing to dissociate from the horror of the details. The memories of this visit have haunted me since. I don’t believe that to experience these atrocities serves the overall purpose of diminishing their recurrence in the future. They can often have the opposite effect. When TV reporters describe in detail how bombs have been made, when they show the arsenals of weapons seized in raids, and give explicit details of a murder I believe it can incite more of the same. What we represent in our thinking is what we are capable of. The words we use imprint themselves on our own and others minds. Only this morning our yoga teacher said “Don’t lose your balance” and spontaneously several of the group wobbled …. Are you aware of the words and images you are using (no matter how they are wrapped up)? And are you choosing (yes choosing consciously) words that truly convey what you really do want (not what you don’t)? We change the world from within. We can be our own torture or we can be at peace.